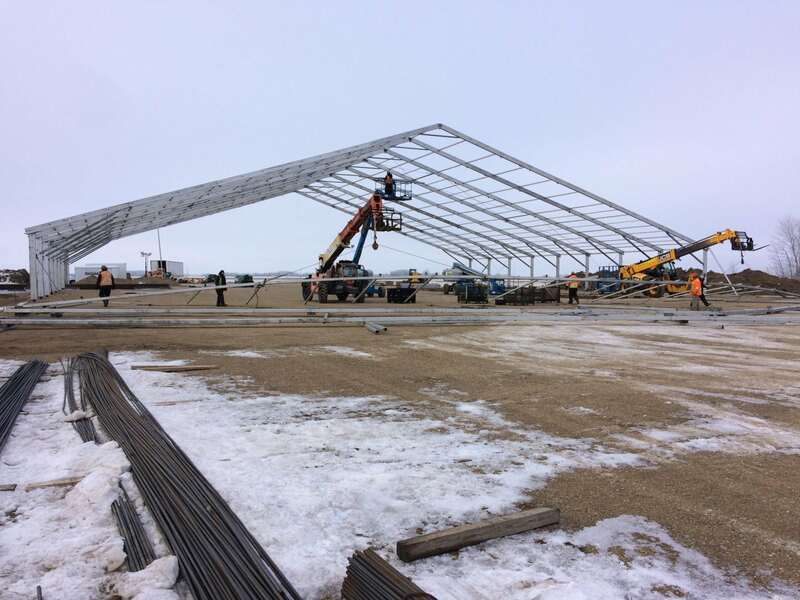 A Winter Construction Tent in Yorkton! When our client Western Foundations first reached out to us about their tenting needs, they weren’t sure if what they wanted was even possible. 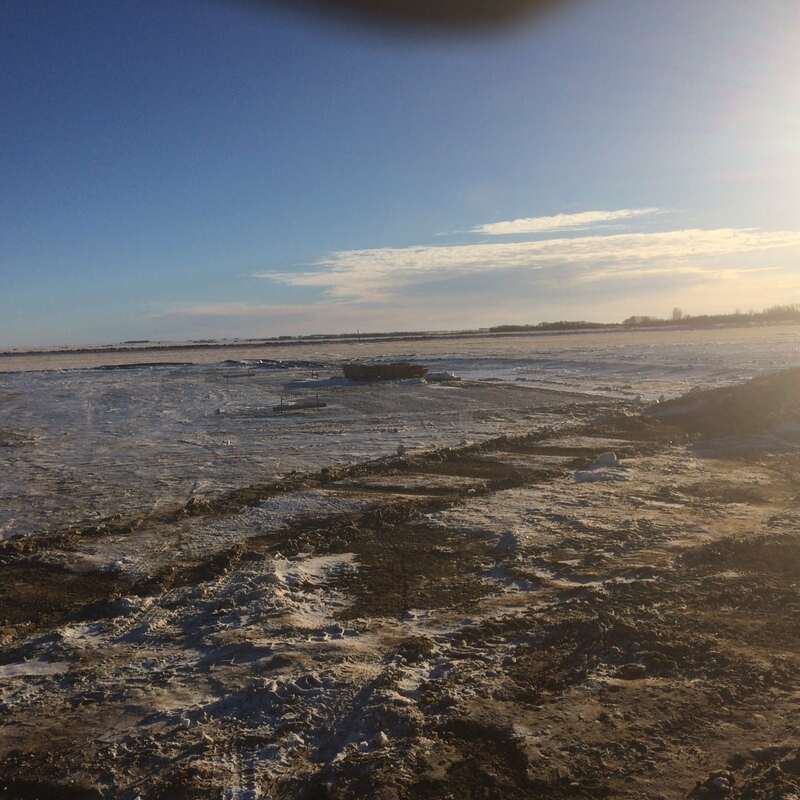 They needed to tent a large area that could be heated continually for weeks, in an effort to thaw the ground underneath enough to dig a foundation, and fill it with concrete – all in the middle of January in Saskatchewan, Canada! Regal Tent immediately knew we were up for the winter challenge, and began planning how we could make it happen. At Regal we are no stranger to winter tenting, as we often work with the construction industry and archaeologists to provide tents for their winter digging needs, but that doesn’t mean that we don’t have to plan carefully to ensure that these tents are safe for our clients, and can withstand the volatile Canadian winter. 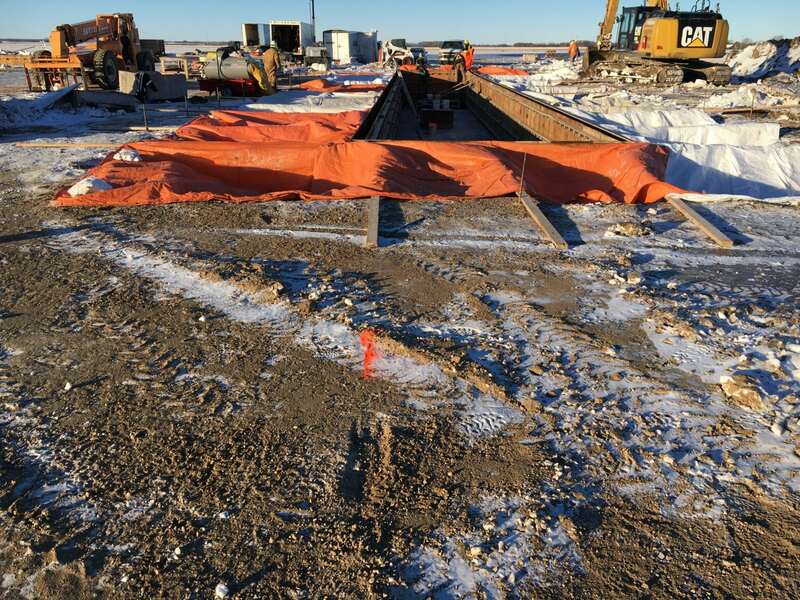 The first step in planning was to send our Operations Manager and the job’s Crew Leader out to the site to take measurements and confirm site conditions. When they arrived, it was basically an enormous icy field, complete with some large reinforced pits dug out that we’d have to navigate our tent around, but that wouldn’t stop us! 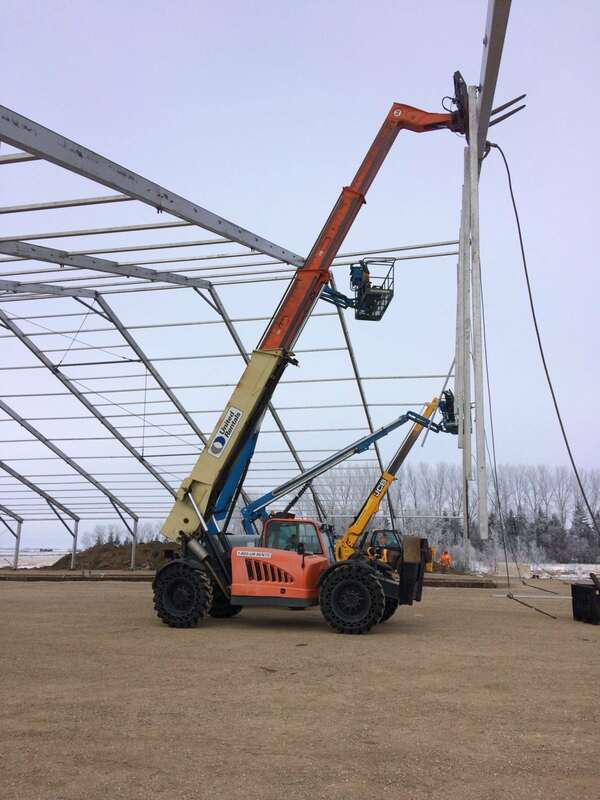 We sent a crew of eight skilled tent installers out to Yorkton, Saskatchewan the week after that site visit to get started on putting up the 164′ x 180′ x 13′ Clearspan tent. 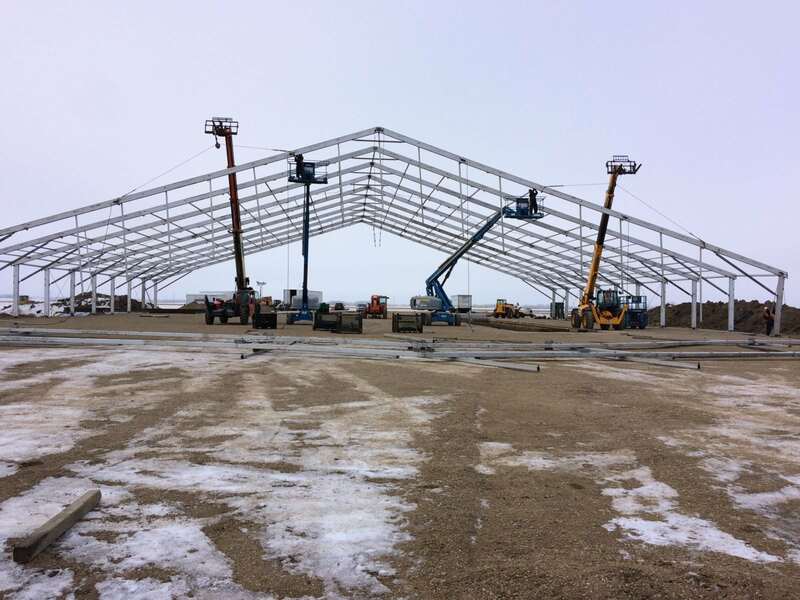 With the help of FOUR large forklifts and a myriad of other equipment, the guys were able to erect the tent in just 7 days, which included a few stormy weather delays! The tent also included four sets of steel doors, double purlins for extra roof support and extended length stakes (think 4′ long!) being used to anchor the tent into the ground. This reinforcement helps keep the tent safe and secure through storms and inclement weather. If your company is in the market for a winter tent, or you have a need for a winter tent but think it’s “crazy”, please reach out to us by clicking here so we can help you figure out how it can work! Companies are working hard to extend their work seasons, and Regal is your perfect partner to make that happen.